SIM-Free (unlocked, no SIM) and Pay-as-you-go (locked, with SIM) deals can be found from £69.98 in the SIM-Free tab if wish to purchase without a contract. 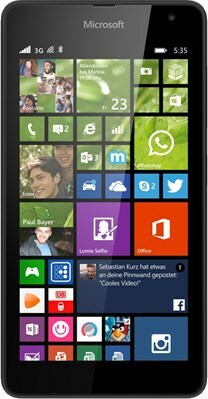 The Lumia 535 is an affordable smartphone featuring the fantastic Windows Phone operating system. 4G ready, and with access to all the latest apps, the 535 is perfect for social networking, browsing the web and watching videos while out and about.